Home / GT Podcast / Would Mark Hofmann Kill Again? 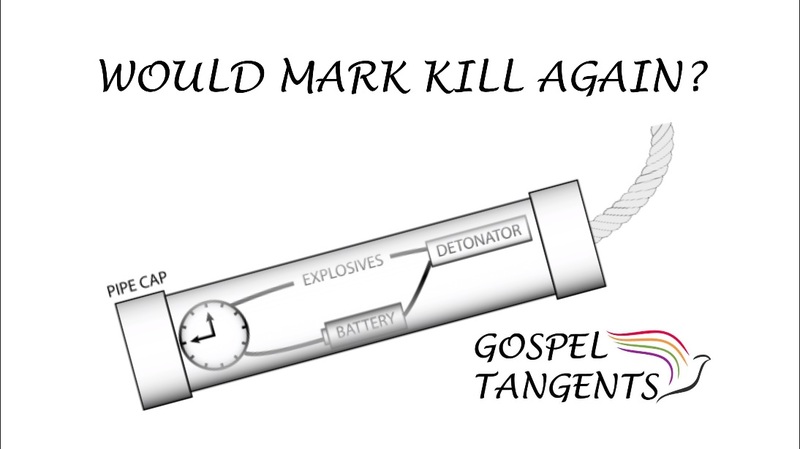 Would Mark Hofmann Kill Again? Sadly, October 15 marks 32 years since Kathy Sheets and Steven Christensen were killed. Shannon asks, and answers an important question. Shannon: People have asked me, “Do you think he would ever murder anybody again?” I believe yes and no. [This is] my own thought of it. I believe no because he is not naturally that way. He sort of is now. But I believe yes because someone told me this, and I hope that it is true. Often times when a bear hurts or kills somebody in Yellowstone Park or something like that, they have to put the bear down. Because they say that once that bear gets the taste of blood in his mouth, he will do it again and again and again. I think that’s Mark. He’s done it once. If he did not have a motivation to do it, I don’t believe he would. He wouldn’t go out and shoot somebody for no reason, but I believe he has the taste of blood in his mouth. If he got himself into another situation where he was up a creek and didn’t know what to do and was about again to be exposed, I mean that’s the reason he killed Steve Christensen. Lots of people have wondered who the third bomb was intended for. We’ll get into the different theories. Shannon: that’s the reason he was parked where he was. That wasn’t just a random place to park. It was right down the street from the McEwen Mansion. The attorney representing the guy that was going to purchase that McLellin Collection, pay off the loan, his office was in the McEwen Mansion. So Mark was right down to the last hour, minute, and second. He couldn’t get out of it anymore. He was going to have to go up that road and say, I don’t have it, which he believed at that point the whole thing would unravel. It very well may have. At that point he may have been so irrational that that’s possible. What in fact happened was, he parked that car, sat there for quite a while and thought, “I am caught. I am caught. What do I do?” He got out of the car, that bomb package was sitting on the driver’s seat and he made a decision to flip it over. GT: So you think he did it on purpose. Shannon: Oh yeah. Now if he believed that he could have survived that, the car did burn but there were enough papers and stuff in the trunk that had it burned completely, which it didn’t, which cars don’t. That only happens in the movies. He could have said, “Yes. McLellin Collection right there.” Who could have proved him wrong? Shannon: He could have come up with a story about who put that bomb there, that he was really going up to the office and then he forgot something, came back, flipped the package over. So does he regret what he did? No. Was he suicidal as, “I’m trying to repent of this?” I don’t think so. I think his hand is in the cookie jar and he’s thinking still, “how can I get out of this?” He flipped the package. Shannon: To get back to that third bomb, I don’t know if there was a rational reason for that. I just use all those examples because there doesn’t need to be a rational reason for it to have happened, because there was lots of irrational things. Who was that intended for? No idea. Maybe he didn’t know who it was intended for until that day. We’ll talk more about potential victim David Christensen (no relation to Steve), Shannon’s role in the McLellin Collection, and Mark’s dealings with Elder Oaks, Hinckley, and Pinnock. Who do you think the third bomb was intended for? Was it a suicide attempt? Was it intended for Brent Ashworth as Curt Bench thinks? Check out our conversation! Previous post: Should Hofmann Ever Be Released From Prison?